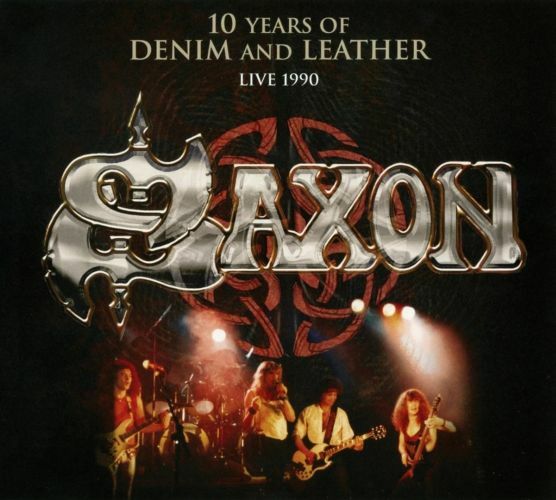 SAXON - 10 YEARS OF DENIM AND LEATHER - LIVE 1990 (CD+DVD DIGI) | Online Shop | Wizard LTD. Album: "10 YEARS OF DENIM AND LEATHER - LIVE 1990 (CD+DVD DIGI)"
Deluxe CD/DVD edition. In 1990, Saxon performed at Central TV Studios, Nottingham for a TV exclusive, as part of their 10 Years Of Denim And Leather tour. This live performance comes in a three-panel digipak. Including many photos from photographer and friend of the band Wolfgang Guerster.